With today's relatively low gas prices, three-row SUVs are becoming more popular than ever and automakers are cashing in. Hyundai and Kia each introduced new large crossovers, the Palisade and Telluride, Subaru added the new Ascent, and Volkswagen created the Atlas. But where is Jeep in this segment? Despite their increasing popularity, Jeep has been surprisingly late to enter the three-row SUV segment and isn't rumored to do so until 2021. It's been rumored for a while now that Jeeps' new three-row SUV would bring back the Wagoneer nameplate, this time called the Grand Wagoneer. Now it seems the Grand Wagoneer won't be Jeep's only new SUV. Speaking with AutoExpress, Jeep CEO Mike Manley said there will be another three-row SUV in addition to the Wagoneer. Manley is speaking as though this second model will be close to the Grand Cherokee in size but will go by a different name. 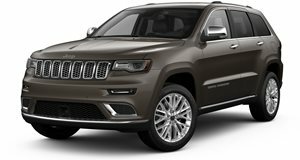 The Grand Cherokee simply has too much model recognition to introduce any changes to it. "We’ll have the choice of Grand Cherokee or a different model,” Manley explained. "For me, the Grand Cherokee is such an icon, so that's why I talk about [the new model] as a three-row Jeep." "It's like if I dramatically changed what Wrangler looked like – I'd be crucified! Grand Cherokee, interestingly, has a customer base that loves it because it's got rear-wheel-drive, well-positioned stance, and dimensionally it's perfect," Manely added. Judging by this statement, we believe Jeep could be gearing to introduce a new three-row crossover with a front-wheel-drive architecture. Last year we spotted a Chinese market Jeep Grand Commander testing in the US, so perhaps this will be the new mystery model.